Now that we have shown you a sampling of Abby and Adam's wedding photos, take a look at some of Abby's gorgeous bridal portraits! Photo Love Photography headed down to Fayetteville and met up this beautiful bride-to-be at Pratt Place Inn & Barn in Fayetteville Arkansas. There are so many places to shoot at this location both inside the Inn and outside. This setting perfectly showcased Abby's classic dress and totally unique custom jewelry and bouquet. Abby's friend made her jewelry and her one-of-a-kind bouquet. 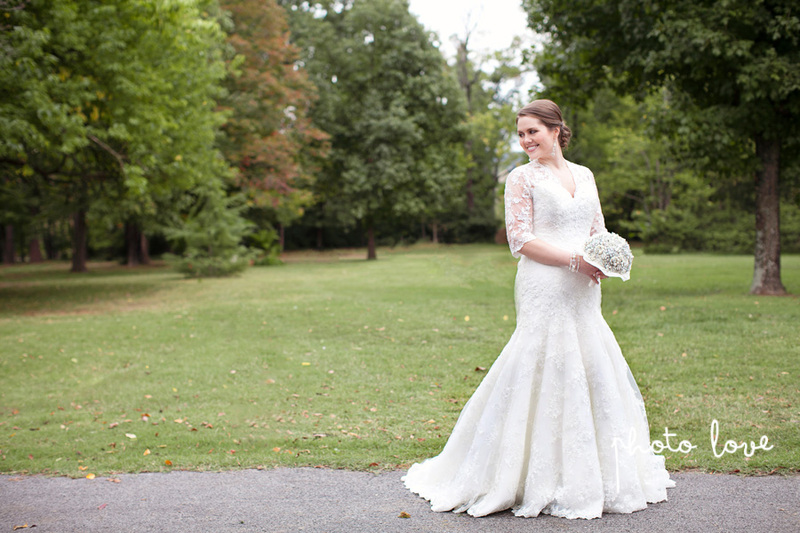 We LOVE these bridal portraits!